TaylorMade and Microsoft have announced an exciting new partnership that will see them team up to launch the Microsoft Golf Tile, a new application on the Microsoft Band. The Microsoft Golf Tile will be one of a series of new applications that provide golfers with yardages, shot tracking and statistical analysis. The first to be released, the Microsoft Golf Tile will have functionality including shot tracking and detection, GPS yardages to the front, middle and back of the green, and a digital scorecard. It’ll also cover biometrics, such as how many calories you burn, how many steps you take, your heart rate, and the duration of your round. 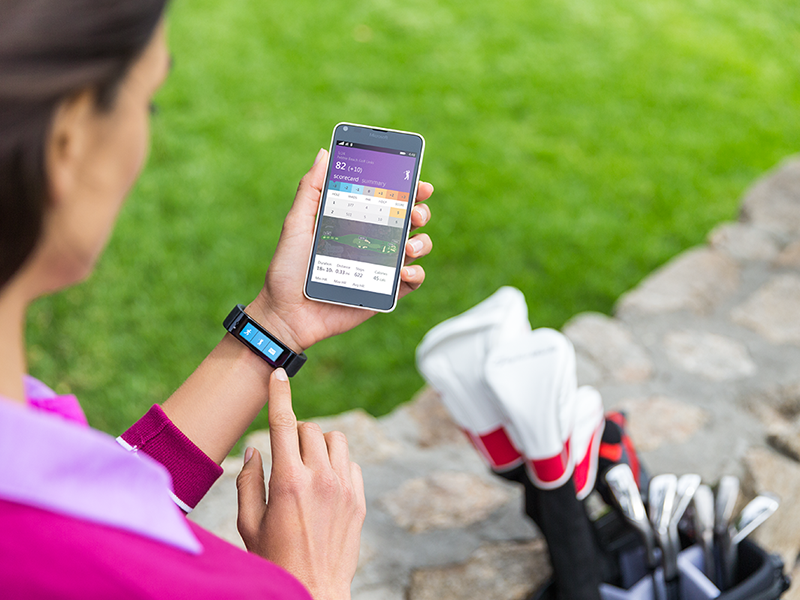 While the shot tracking, GPS yardages and biometric data are available on the Microsoft Band throughout your round, a summary will also be available on the Microsoft Health application (iOS, Android and Windows Phone) when you are away from the course. Following the launch of the Microsoft Golf Tile will be another golf based app in the coming weeks, the myRoundPro From TaylorMade. It will be a standalone analytics platform that can be used in conjuction with the Microsoft Golf Tile to analyse your on-course statistics in much more detail, including insights into new data like strokes gained and proximity to the hole, as well as more common figures like fairways hit and greens in regulation. The Microsoft Band will retail at £169.99 (UK and US only) via retailers including Amazon, Curry’s, PC World and 02.